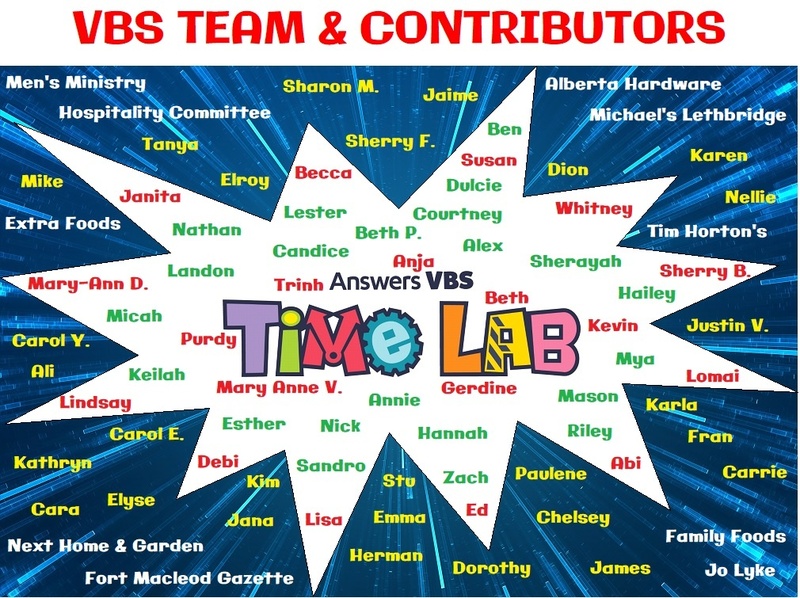 This year's VBS will run from Tuesday July 2 - Saturday July 6! This is a free program for kids ages 4-12. Tuesday-Friday from 9am-12pm for ages 4-7 and 9am-2:30 for ages 8-12. Saturday our program will run from 9am-12pm for all ages and we will end the week with a BBQ for the kids and their families! 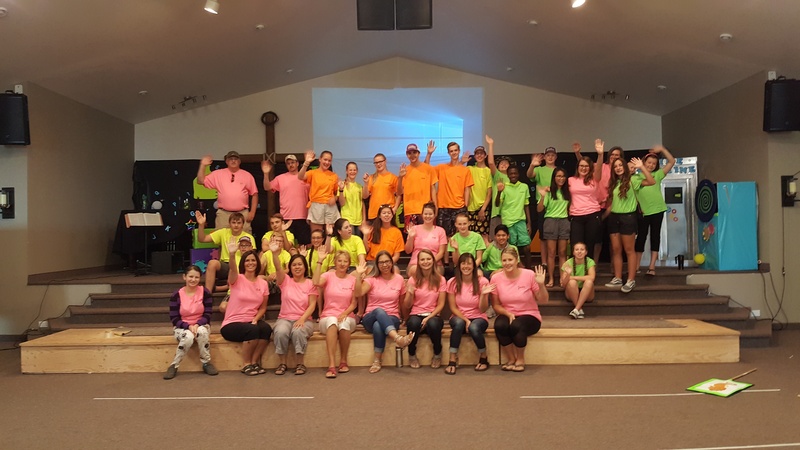 Join us for fun teaching, games, sports, crafts, snacks, music and more! 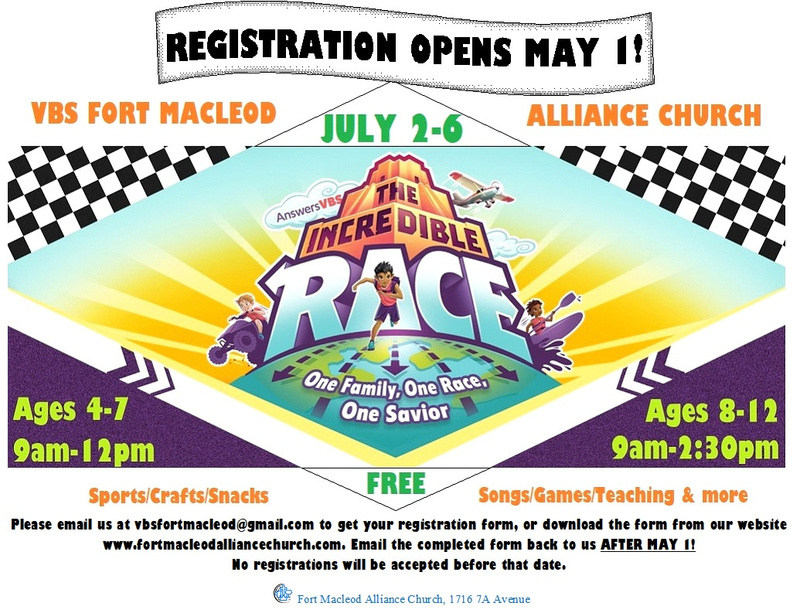 To register: download the registration form below and email it back to us at vbsfortmacleod@gmail.com after May 1!